This business of hidden identity is why pastors, marriage counselors, and wise parents advise young people to take time to get to know their beloved before proposing or accepting the proposal of marriage. Marriage, according to Christian doctrine and tradition, is a life-long union of a man and woman. You really don’t want to find out several years into the marriage that your husband is really a jerk deep-down or your wife is really a narcissist in her heart-of-hearts. Do the hard work of “getting to know you” before the proposal and you won’t be shocked or surprised about their hidden identity later on! The hidden identity of Jesus gave Peter, James, and John quite a shock in our Gospel lesson this morning. They had been with Jesus since the beginning of his ministry, for about three years. They had worked together, ate together, and sat at Jesus’ feet constantly, without interruption. Peter, James, and John thought they really knew Jesus–but the revelation of Jesus’ divinity on Mount Tabor was something else entirely. They had always heard about God, but to see Jesus with all his divine glory and majresty in person was something else. 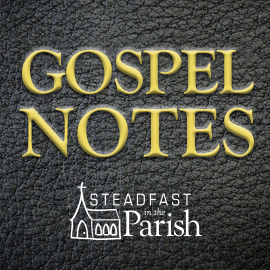 In verse 6, the Evangelist observes that Peter did not know what to say, because the disciples were terrified. We did not follow cleverly devised myths when we made known to you the power and coming of our Lord Jesus Christ, but we were eyewitnesses of his majesty. For when he received honor and glory from God the Father and the voice was borne to him by the Majestic Glory, “This is My beloved Son, with whom I am well pleased,” we heard this voice borne from heaven, for we were with Him on the holy mountain. (1 Peter 1:16-18). The Fathers [of the ancient church] illustrated the personal union and communion by analogies of the soul and the body and of glowing iron. For the body and soul, as well as fire and iron, have a communion with each other, not only after a manner of speaking and in a strictly verbal fashion, but in deed and in truth. . . . On account of this personal union and communion of the natures, Mary, the most blessed virgin, did not conceive a mere ordinary human being, but a human being who is truly the Son of the most high God, as the angel testifies. . . Therefore she is truly the mother of God and yet remained a virgin. On this basis, likewise, Christ performed all his miracles and manifested his divine majesty according to his good pleasure, when and how he wanted to. He did so not only after his resurrection and ascension but also in the state of humiliation–for example, at the wedding in Cana of Galilee. . . . The human nature could not have accomplished this if it had not been personally united with the divine nature and had communion with it. . . . But now since he [has] ascended into heaven . . . he is everywhere present to rule, not only as God but also as man, from sea to sea and to the ends of the earth, as the prophets foretell. (FC SD VIII, 18-27; Tappert, 594-596). What does the hiddenness of Jesus’ divine nature mean for us today? First, it reminds us that when God does appear, he hides himself. For example, think about the first time that God revealed himself to Moses. 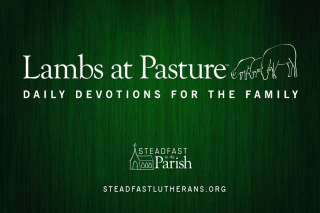 Moses was tending his flock of sheep when he saw a large bush that looked to be on fire, but was not producing smoke, heat, or in other ways burning. As Moses got closer to the bush, God spoke from within the flames and the bush, saying, “Don’t come any closer. Take off your sandals, for the place where you are standing is holy ground.” (Exodus 3:1-5). As another example, Elijah was in hiding in a cave at Mount Horeb. God told him to come out, and that he would pass by. There was a tornado, an earthquake, and fire, then God appeared in an invisible, whispering voice. (1 Kings 19:8-13). Second, the union of the divine and human natures in one person, Jesus, explains how Jesus’ body and blood can be present in the Lord’s Supper. What we receive in the Sacrament is not mere human body and blood, as is obvious, but a divine-human body and blood. Christ’s body has divine qualities found in no other body. The disciples witnessed this at his Transfiguration. Jesus’ body is infused with the divine nature so that it does not have the limitations of mere human bodies. Just as God can be present everywhere at the same time, so Christ’s body and blood can be present anywhere he wants simultaneously. This also explains why we receive heavenly benefits when we eat the Sacrament. Only divine substance can give heavenly benefits, although it only benefits those who have faith. When the Son of Man comes in his glory, and all the angels with him, he will sit on his throne in heavenly glory. All the nations will be gathered before him, and he will separate the people one from another, as a shepherd separates the sheep from the goats. He will put the sheep on his right and the goats on his left . . . Then he will say to those on his left, “Depart from me, you who are cursed into the eternal fire prepared for the devil and his angels. For I was hungry and you gave me nothing to eat, I was thirsty and you gave me nothing to drink, I was a stranger and you did not invite me in, I needed clothes and you did not clothe me, I was sick, and in prison, and you did not look after me.” They will answer, “Lord, when did you see you hungry, [etc.], . . . and did not help you?” He will reply, “I tell you the truth, whatever you did not do for one of the least of these [brothers of mine], you did not do for me.” (Matthew 26:31-45). These words of Jesus do not mean that you have to feed all the hungry in the world, clothe all the naked, visit all the sick and imprisoned, etc. That idea comes from the Social Gospel and from various political ideas that have been floating around since the 19th century. But these words do mean that we Christians are obliged to look after the legitimate needs of our fellow Christians, wherever they may be, and whoever they may be. Since we Lutherans believe in the “invisible church,” we believe that there are true believers anywhere Christian baptism is administered and people hear the Word of God. There are presently 2.2 billion Christians scattered all around the world. So the scope and range of Jesus’ command to care for believers and show mercy to them is wide-ranging. It will not cease until he returns in glory and majesty, to bring all believers into his presence and into the blessings of life eternal. In Jesus’ name. Amen.